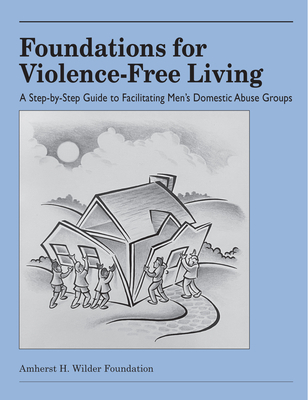 Foundations for Violence-Free Living: A Step-by-Step Guide to Facilitating Men's Domestic Abuse Groups gives you everything you need to facilitate effective men's domestic abuse groups. Whether you want to start a group or enhance your current program, this guide and participant's workbook provide complete tools for facilitating a domestic abuse treatment program with proven success. Foundations for Violence-Free Living distills the best of fifteen years of experience by one of the nation's largest, most comprehensive domestic abuse programs. This practical guide includes: 1) twenty-nine activities accompanied by forty-nine worksheets--pick and choose the activities and worksheets that best fit your clientele, your program, and the strengths of your facilitators; 2) extensive preparation for each activity, including how to present it, what worksheets are required, and most important, the issues each activity is likely to raise and how to respond to them; 3) proven techniques for reversing denial and blaming, changing the behavior of resistant clients, dealing with chemical use in group, serving a diverse clientele, and other special issues; 4) guidelines for program consistency, from a philosophy of violence, to intake and individual counseling, to recommended policies and releases, to suggestions for facilitating groups; and 5) how to co-facilitate, and why we recommend a male/female facilitation team. The activities in this guide were developed by the staff of the Amherst H. Wilder Foundation Community Assistance Program, located in St. Paul, Minnesota.